Hidden away in the suburban sprawl on the east side of Leicester Humberstone Garden Village is a somewhat unique housing scheme. Unique – not for just being an early example of a garden suburb development- predating both Letchworth & Hampstead , nor for reaching its centenary largely with its original structure intact, But for being the only garden suburb ever to be be built by the members of a workers co-operative. The workers at the Anchor Boot and Shoe Co-operative Society whose co-operatively run boot and shoe works were in Asfordby Street, Leicester were inspired by the works of Ebenezer Howard and the embryonic Garden cities movement. Contributing a percentage of their wages to a building fund they set up the Anchor Tenants Co-partnership. Tenant Co-partnerships were an early version of housing co-operatives. The first,Tenant Co-operators Ltd, was set up in 1887 with the idea of applying the principles of the co-operative retail movement to housing. It aimed to build or buy houses all over London to let to tenants at local rents, financed by a combination of Public Works loans, small investors and shares taken out by the tenants themselves. The rents would be set to cover maintenance, loan repayments with any surplus ‘profit’ being credited to tenants as a dividend. It was hoped that in this way the tenant could build up a share account that would eventually be equivalent to the value of their house; in this way working people could own their own homes and instead of having to sell when they wanted to move they could simply transfer their shares to another co-operative housing scheme. A number of schemes throughout the country were set up using this model and nearly all laid out on Garden City principles. 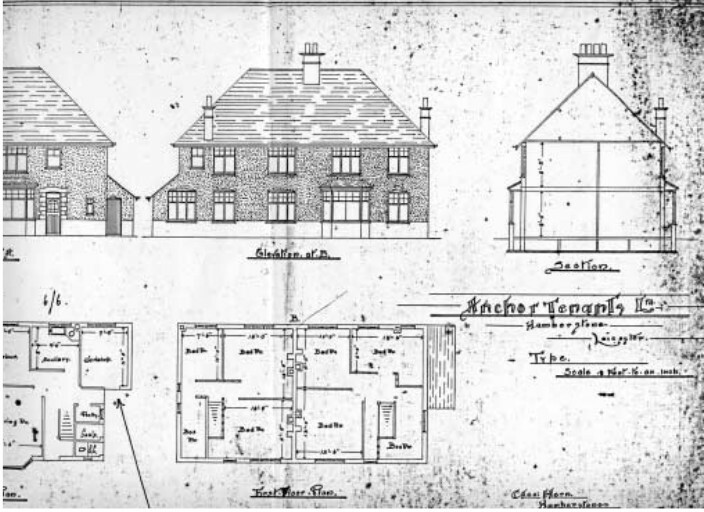 (see Derwentwater Tenants Co-partnership 1910 , Burnage Garden Village 1906, Wrexham Garden Village 1917 and Brentham Garden Suburb 1905 ) Parts of both Letchworth Garden City and Hampstead Garden Suburb were also developed by tenant Co-partnerships. The Suburb thrived as a slightly separate enclave up until the late 1930’s when the Leicester City boundary was extending and the surrounding area built up. 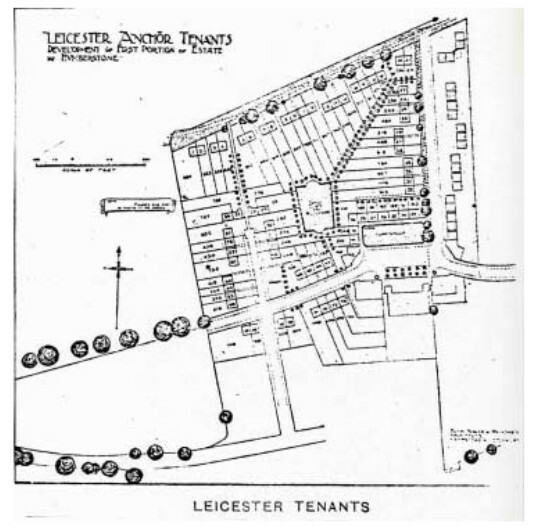 As part of the suburb’s centenary celebrations in 2002 the Association published a Victorian Studies MA dissertation by University of Leicester student M D Forrester on the history and background to the garden village. The First World War dealt the Suburb a major economic blow; the effects of the Second World War almost destroyed the social structure of the estate. As younger, second generation members returned from armed service and munitions factories, this more travelled and worldly generation found difficulty in settling back into the old way of life: for many of them, it was simply not what they wanted. The war also depleted the Suburb’s financial resources: the City Council insisted that the estate take out insurance against War Damage. whilst dependent on outside resources and having no control over the surrounding environment, could never have worked. In any case, in the early days, the Management Committee made many mistakes, the most fatal perhaps the decision not to allow Billesdon Rural Council to make up the roads for nothing. Talking to older residents, it is evident that much of the early community spirit does still exist. The estate is still administered by a Management Committee and run on co-partnership lines, although much of the original guiding philosophy and raison d’etre have either been forgotten or had to be abandoned. This entry was posted in Early 20th Century and tagged Garden City by chris-coates. Bookmark the permalink.